Banda do Sol is 52km west of the Funchal airport (FNC), and travelling time is approximately 45 minutes. We will send you detailed directions that enable you to find us from the airport. The interesting drive takes you through 35 of the new tunnels that have so improved travelling on the island. These engineering feats allow you to be unpacked at Banda do Sol and relaxing on your private patio or lounging by the pool within the hour. 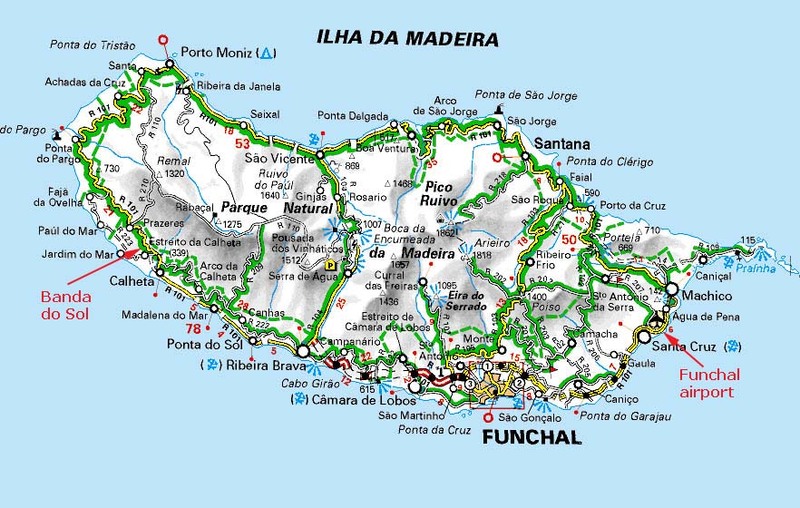 We recommend Funchal Car Hire for your rental car needs, and Madeira Airport Transfers for the best priced shuttle service to and from the airport. We suggest booking either as soon as possible especially during holiday periods.